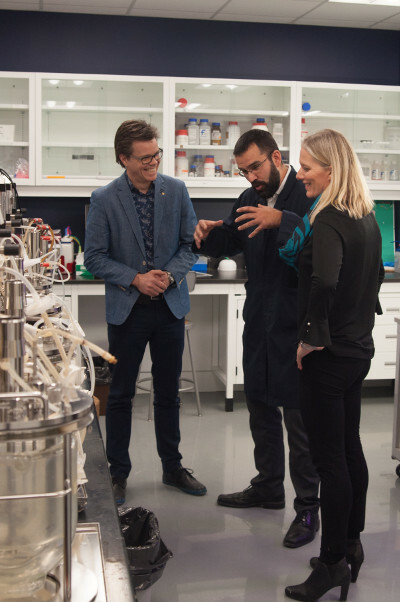 On January 16th, the BTL’s team got a visit from the Honourable Minister Catherine McKenna at the biological installations of the BTL. The federal Minister of Environment and Climate Change was particularly interested in how the BTL team was developing disruptive technologies for local companies and how the laboratory was able to provide a unique support for its partners while as well training the new generation of top researchers in the province. The BTL team was happy to meet with the minister and hope that she will visit soon our recently improved laboratory at the Scale Up Center.